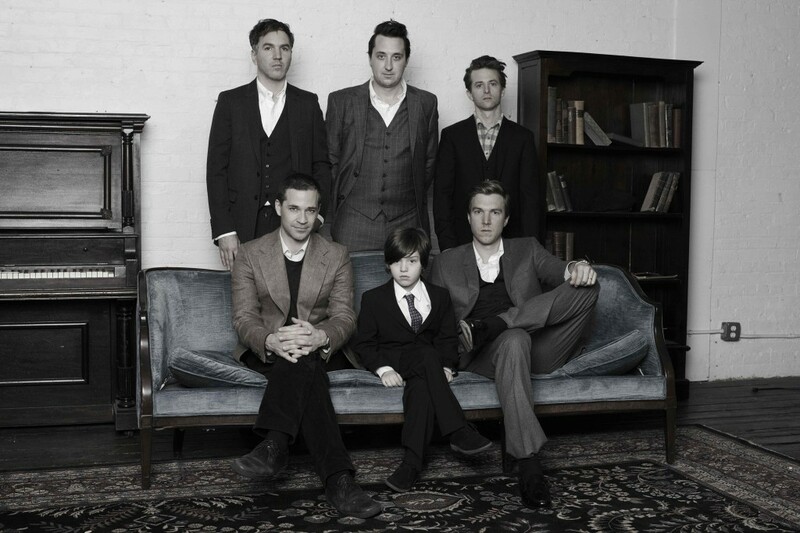 Bella Union is excited to announce that the celebrated New York quintet The Walkmen will release their new album, Heaven, on 4th June 2012. 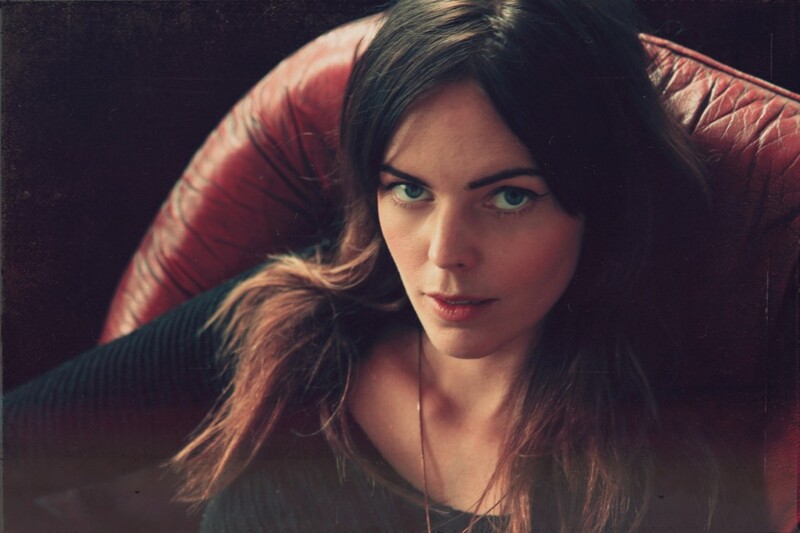 The record is the band’s seventh and was produced by Phil Ek (Fleet Foxes, The Shins, Band of Horses) whilst Robin Pecknold sings harmonies on two songs on the record. “We felt like it was time to make a bigger, more generous statement…” When describing The Walkmen’s new album, lead singer Hamilton Leithauser portrays a band hitting maturity, comfortable in its mastery after a decade together. It’s been ten years since The Walkmen made their debut album, Everybody Who Pretended To Like Me Is Gone. Ten years since critics attached them to a New York scene they never wanted to be part of. This spring the band played a series of 10th anniversary shows in the US that demonstrated how far they have outstripped their peers: two sets over two hours, no filler, rapturously received. The Walkmen are the great New York band of their generation, making the best music of their career and filling their largest venues yet. Their spot at the top of the bill at May’s Crossing Brooklyn Ferry festival, curated by The National, demonstrates the respect in which they are held by the current wave of bands making music in the city. Heaven is a definitive statement of purpose and commitment, from a band at the peak of its powers that is finally winning the recognition it deserves. 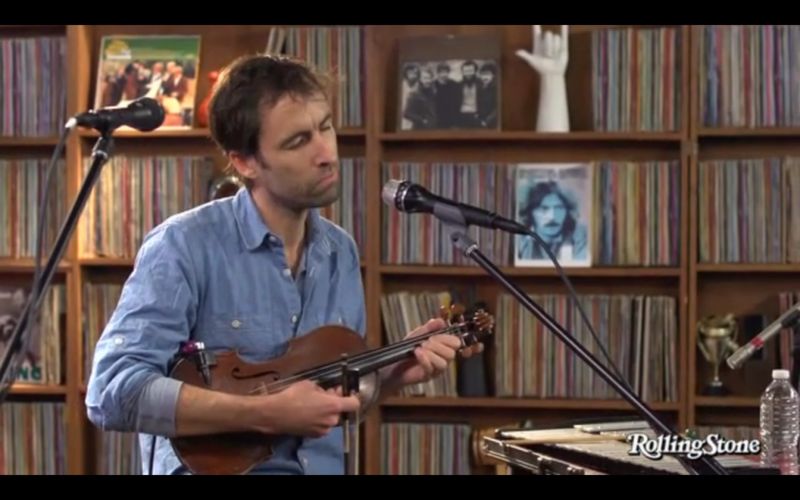 Singer-songwriter Andrew Bird stopped by the Rolling Stone studio to perform a few numbers from his latest album, Break It Yourself, accompanied only by his violin. After the set, Bird chatted about building a studio in an old barn and recording the new album as casually as possible. Head over to here to watch the wonderful footage of Andrew performing for Rolling Stone. V Magazine have premiered a beautiful new video for Hannah Cohen’s ‘Don’t Say’. The song appears on Hannah’s debut album, to be released next month on Bella Union. Bella Union is curating all stages and all artists across the whole festival on Friday August 31st. Our bookings come in addition to End of the Road’s, who have booked bands such as Grandaddy and Grizzly Bear to perform sets during the rest of the weekend. Full lineup and tickets here. This Sunday, April 1st, I Break Horses will perform a headline show at London’s Scala. Support comes from Man Without Country, and tickets are available to buy from ATP here. In 2011, we were thrilled to release I Break Horses’ debut album Hearts. The band had only played a handful of live dates, including a short December UK tour culminating in a sell out show at London’s Cargo. This Sunday’s show will be their first UK performance since that date and promises to be an awesome show indeed. We are excited to offer a very special prize to a fan attending Sunday’s show. I Break Horses (amongst many other fantastic artists, including a bunch of Bella bands) will perform at Primavera Festival in Barcelona. We’d love you to have the chance to watch the band again at the festival, so we have a pair of tickets up for grabs. All you have to do is come to the merch table on Sunday and leave your name and contact details on the ‘Primavera’ list, and we’ll draw a name at random and alert the winner on the following Monday. Switswoo, what a great prize! So, to enter, make sure you a) come to the show on Sunday and b) leave your name and email on the list at the merch stand. TICKETS TO SUNDAY’S SHOW HERE!